Rent this luxury duplex and enjoy 2,000 square feet of newly-renovated living space, plus a private, 800 square foot south garden. With three bedrooms, three brand-new full baths, a private entrance, and two fireplaces, this rental offers premium townhouse living. The renovated open plan kitchen features state-of-the-art appliances and plenty of space for your culinary adventures. The master bedroom is a 350 square foot expanse with two walk-in closets and a floor-to-ceiling reverse bay window. 11-foot ceilings are present throughout. Enjoy exclusive access to a landscaped south garden. A washer/dryer is in the building. Brand-new ductless a/c, individual temperature control, and video security are among the state-of-the-art systems in this unit. 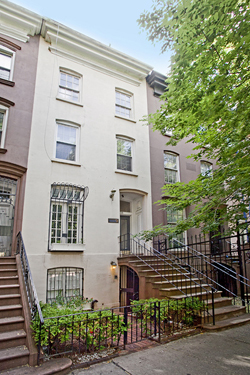 This elegant, turn-of-the-century townhouse is perfectly positioned on a tree-lined block in the East 30s. 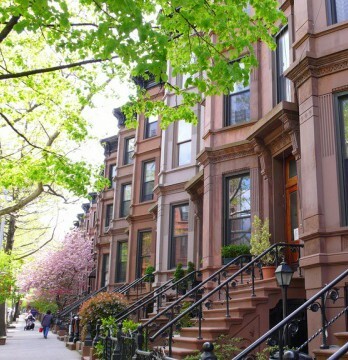 Only a brisk walk from midtown, this block preserves a neighborly atmosphere. At the same time, the dining districts along Third and Second Avenues offer endless possibilities for entertainment. Garden Level: A private entrance under the stoop leads to a spacious vestibule with bicycle storage. The nearby coat closet is wired for a stereo system. The front bedroom has hardwood floors, a decorative fireplace and a window seat. A renovated full bath is nearby. The center of the level contains a newly-renovated kitchen with center island, granite countertops, and appliances including a 36” Viking range. The open floor plan dining room features a decorative fireplace with brick mantel. The living room has high ceilings, hardwood floors, and access to the garden. South Garden: This garden is dedicated to your exclusive use. Dine on the landscaped patio, or try your green thumb raising flowers in the semicircular raised planting beds. Established trees give shade on sunny afternoons. 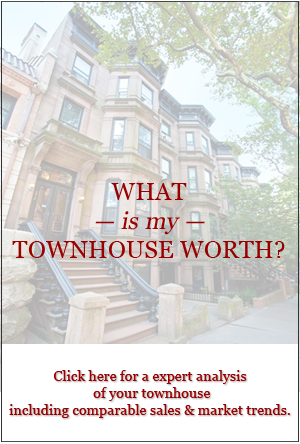 Totaling approximately 800 square feet of outdoor space, this is what townhouse living is all about. Parlour Level: Up a renovated staircase you reach the main bedroom level. Hardwood floors and 11-foot ceilings are found throughout. The queen-sized front bedroom has a renovated, marble full bath, two closets, and French doors to a Juliet balcony. The 350 square foot master bedroom has a brand-new full bath, two walk-in closets, and a floor-to-ceiling window giving plenty of warm south light. Laundry: A washer and dryer are accessible in the basement laundry room. 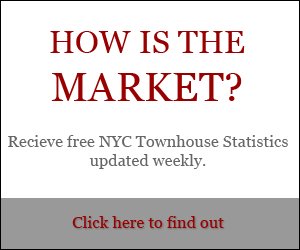 Contact Lauren for more information: 212.769.2900.